Take pride in your kitchen with these new very powerful wall mounted extractors, all the Lusso range of wall cooker hoods have very powerful extraction with the added benefit of the baffle stainless steel grease filters, these commercial grade filters have been upgraded to polished steel and will remove 90% of grease before it reaches your motor. 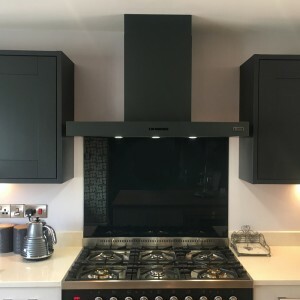 The motor units on these range cooker hoods have a massive 1350m³/hr, more than enough for any domestic kitchen 25 x 25 square meters and a ceiling height of 2.2 high. LA-90-LUSSO-FLT-ANTHRACITE Ral Code - 7026 Matt &nb..